We are a leading Manufacturer of egg crate bed pad from Delhi, India. 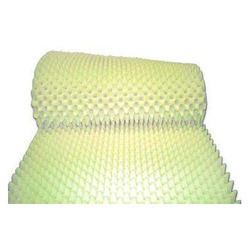 Egg Crate Bed Pad these popular mattress pads (mattress toppers) from SPF Sleep Products are latex-free bedding foam mattress pads that provide superior weight distribution for reclining support, comfort and pressure relief. This new technology leaves a 25% smaller environmental footprint than conventional foam material. .
Dimensions: 36in. wide x 72in. long. Looking for Egg Crate Bed Pad ?